This 1957 Larson Thunderhawk Jr. was found as garbage collector with no sign of life. 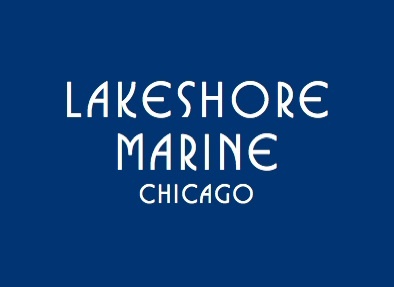 I’ve decide to take care of it and bring it to shine again. 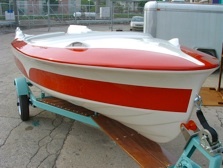 Starting by removing hardware, old paint and repairing fiberglass, slowly but effectively I was moving forward. 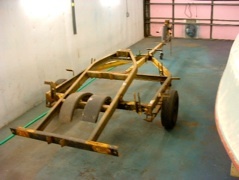 To make the process little easier the deck and hull were separated. 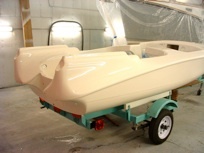 West System® epoxy and compounds were used for all fiberglass work. 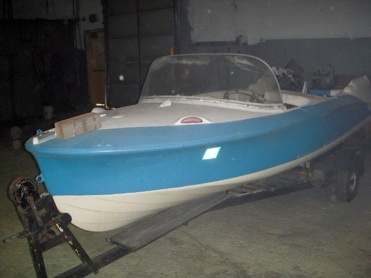 After a long time sanding and fairing finally the primer was applied and the boat was ready for final coat of paint. I used Awl-grip® top coat. The color was custom matched to original painting found after old finish was removed. Seats and cushions wore made to the specs of 1957. 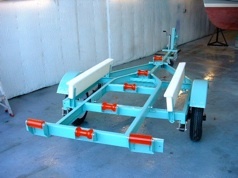 Original hardware was re-chromed and the trailer went trough a powder coating process. 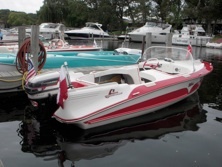 The source of power is a 1957 35 HP Evinrude® Lark, completely rebuild, strong enough to make 15 ft boat go about 30mph. 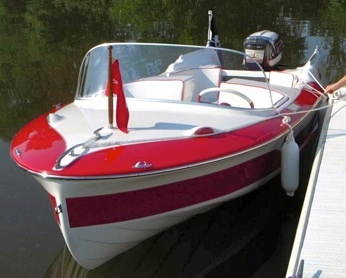 The boat was build in ‘57 in Little Falls, Minnesota where Larson Boat Works is originated. 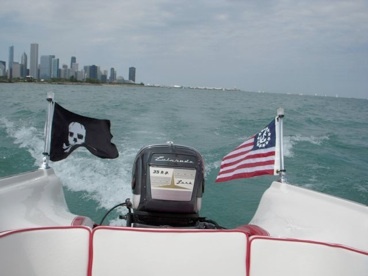 In August of 2009 the boat went back to it's birthplace to take a ride on Mississippi River.